Registered Trademark, U.S. and foreign patents. 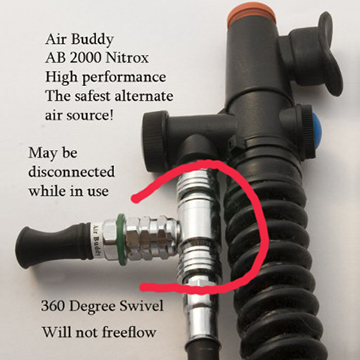 The Air Buddy is the safest and smallest alternate air source protecting SCUBA divers since 1999. It can give you up to 20% more breathing time on a bottle of air than any other alternate air source. Think of it as a miniature 2nd stage that will not free flow or freeze, about the size of your thumb. 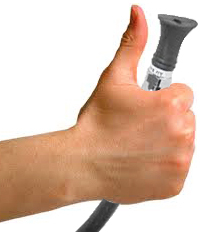 If your alternate air source has a diaphragm, you should replace it now. The Air Buddy is available in three configurations. 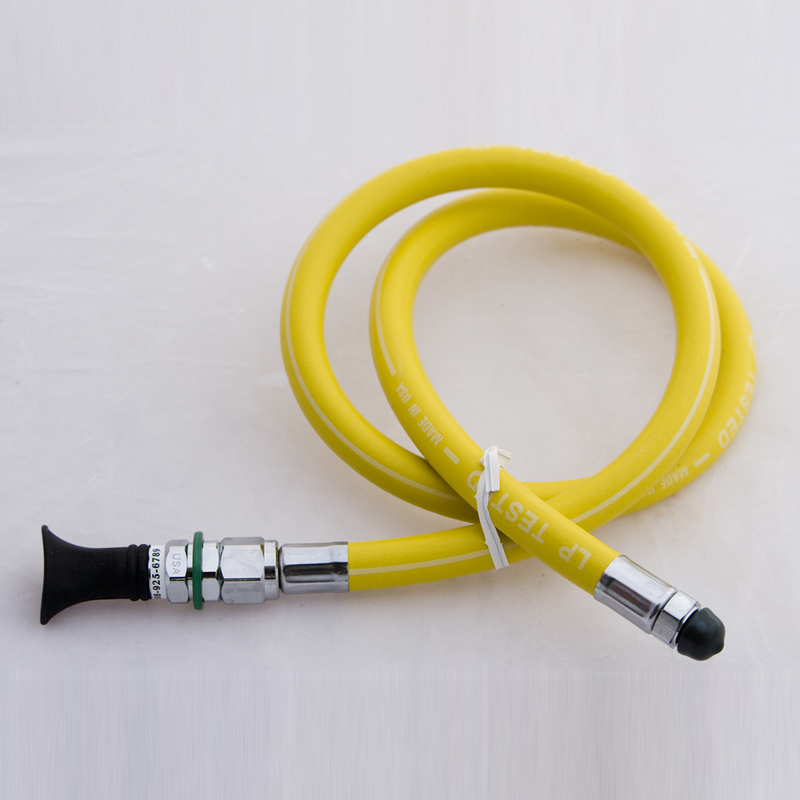 It comes on an octopus hose as you see in the following picture, on a quick connect to snap it onto any standard buoyancy compensator power inflator console or with a safety valve to rig it on a pony bottle. Click here to see a video of the Air Buddy in action.